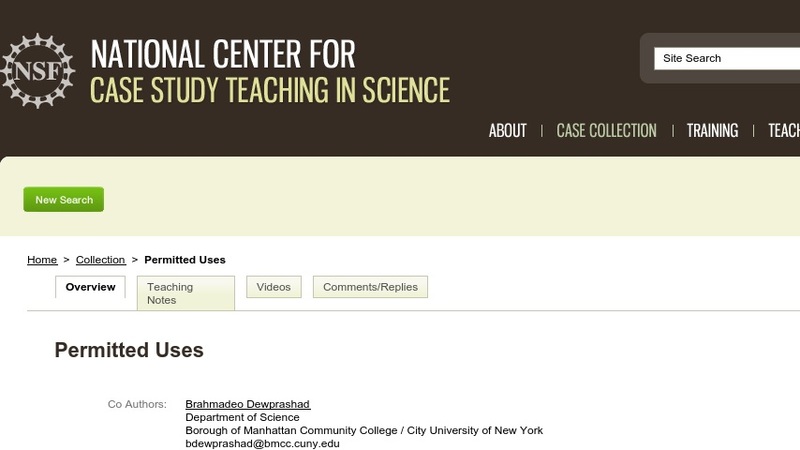 The National Center for Case Study Teaching in Science holds the copyright for all of the cases in its collection. As the copyright holder, we encourage educational, not-for-profit use of our cases by individual instructors. We also will review proposed for-profit uses of our cases. We have rules governing the use of our answer keys and teaching notes.